You can access Content Manager software from a Remote Desktop Connection, which is a default Windows application. The Mac version of Microsoft Remote Desktop is available for free in the Mac App Store. 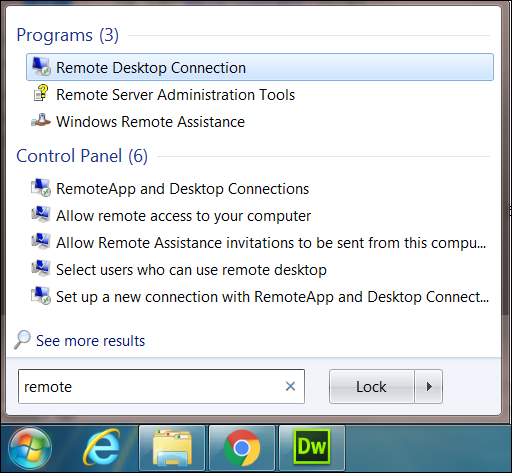 Search for and select Remote Desktop Connection. 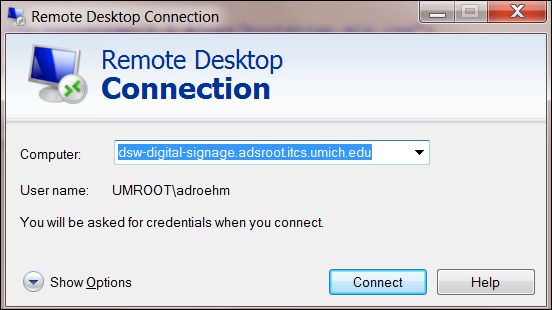 Enter dsw-digital-signage.adsroot.itcs.umich.edu in the Computer field. 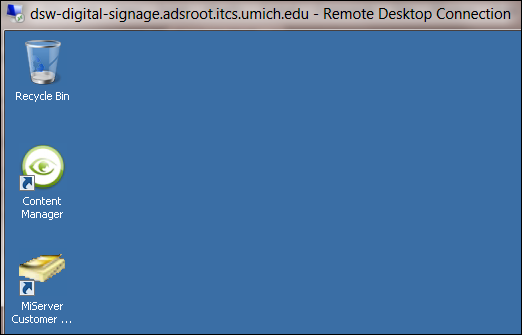 Verify that the User name is UMROOT\uniqname. Note: Click Show Options to change the User name.